The Chicago Area knows Lift Chairs 101 as the leader in Lift Chairs. We have been providing Chicago with lift chairs for many years, giving us the experience that many other suppliers don't have. 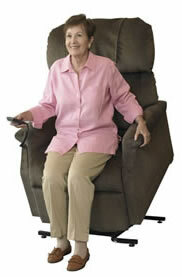 All of our recliners are tax free and include free shipping. With guaranteed low prices, free shipping, and zero taxes you will not find a better deal on a lift chair. Two position lift chairs recline to about a 45 degree angle, which make them perfect chairs for watching tv or doing work. Three position lift chairs recline to an almost flat, napping position and anywhere in between. 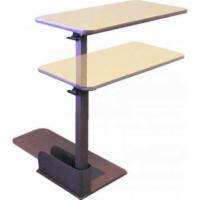 Infinite position lift chairs reach a completely flat recline and also have independently working footrests. "My lift chair arrived on Friday morning of June 4th. Everything was intact and easy to put together. My wife loves the looks of the chair and the material matches our furniture to a tee. Thanks for your help in helping me purchase the chair and the info on getting reimbursement from Medicare. As soon as I got it, it was put together and used by my grandchildren. I got to sit in it that night. Thanks for all the help."